Sandwich Soul was a Big Hit at Orlando Fest Competition! School vacation was fun and successful for our SHS Sandwich Soul Singers! Sandwich Soul performed a medley from the hit musical Wicked and won 1st place with a superior rating. 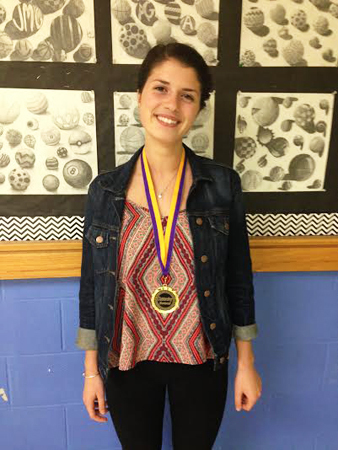 Yasmine Chahine, a junior, won Best Soloist for her solo in Defying Gravity. We also enrolled Sandwich Soul in a accredited Disney Musical Workshop lead by a Disney choreographer and former Broadway performer. Soul learned a scene and a musical number from the musical Marry Poppins. Soul was put through a real experience of what an audition could feel like, from signing in and getting a name tag/ number, to auditioning for roles and then learning a complex dance routine. After the two and a half hours, our award winning show choir had memorized a short scene, learned a song and dance from Mary Poppins. Again, this Disney workshop is accredited, so our students who are pursuing a career in the arts can put this training on their resumes. If anyone would like to see what Sandwich Soul performed in Florida they will be having a spring concert on May 26th at the high school. Soul will also perform the piece from Mary Poppins as well to share with the audience what they learned from the Disney workshop. 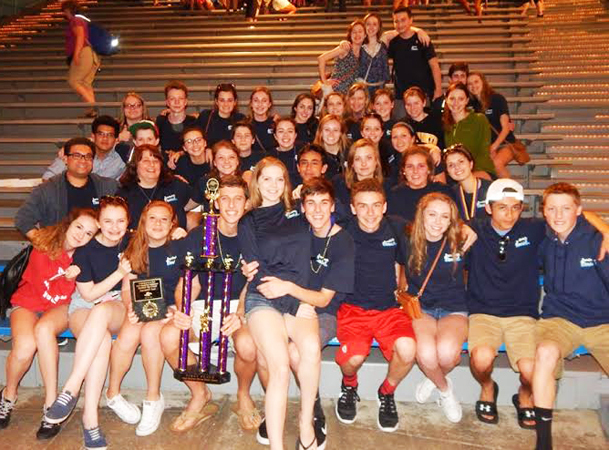 We our beyond proud of our show choir and how they continue to thrive within the arts. Providing opportunities for them to perform and learn from other professionals is important to us and we truly love the partnership we have made with Disney. Disney is the number 1 employer for live entertainment in the world. It turns out that a Sandwich High School Alumnae, Sara Russell, graduated in 2000, has been working with Disney as an event manager and has been living in Florida for 11 years now. She found out that that the Blue Knights were coming to take the Disney Theatrical Workshop and rearranged her schedule to spend the morning with us to observer her fellow Blue Knights. It was a powerful moment for our young performers to see that they could have a career with Disney one day. “We didn’t have show choir when I was in school, so this is amazing! I’m so proud of SHS!” Sara went on after the workshop in a brief Q&A with our students. As the directors of Sandwich Soul, it was a moment of pride when Sam Sinns, the choreographer, approached us during the break and went on and on about how well our students were doing with the content of the workshop and how we were doing a great job preparing them for the next phase in their careers. He even invited us to see his show, The Finding Nemo Show at Animal Kingdom and then take us backstage to meet his cast, but unfortunately that park wasn’t a part of our package. So next time we take Sandwich Soul we’ll make sure to book Animal Kingdom to see The Finding Nemo Show and take Sam up on his generous offer. We also had time to enjoy Universal Studios and we had our share of Butter Beer from the Harry Potter World and Disney’s Hollywood Studios. Great memories were made, self confidence was built, educational moments with the arts and loads of fun at the parks. Another great tour with Sandwich Soul. Special thanks to Richard Canfield, Ellin Booras, and our school committee.